Did you know one in five children leave school each Friday unsure of where and when they’ll find their next meal? Unfortunately, some of them don’t to eat again until the following Monday when they return to school. 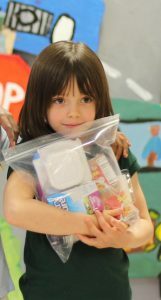 That’s why Second Harvest Food Bank of Middle Tennessee operates the BackPack Program, to help at-risk children by providing them with easy-to-prepare food on weekends and during school breaks. A typical BackPack is actually a Ziploc bag that includes two single-serve cereals, two pop-top entrees, a snack, fruit juice and a shelf-stable milk. – Become a volunteer. Second Harvest offers various volunteer opportunities for individuals, families, and groups. Children as young as six can volunteer with their families on Family Night to pack BackPacks for other children in need. Learn more at secondharvestmidtn.org/volunteer/. – Donate online at secondharvestmidtn.org/give/. Every dollar donated will provide four meals to someone in need right here in our community. Please contact us at 615-754-2027, or call Second Harvest at 615-329-3491, to learn more! We are so proud to be a part of the “Dentists Give Back” Scholarship Program! In 2015, Betty Williams, wife of Lebanon Dentist Chad Williams, saw a need for classroom and educational supplies in her children’s classrooms. Oftentimes, teachers are expected to cover the expenses for these items out-of-pocket. Betty took the initiative to enlist the help of other dentists in Wilson County to address the issue. 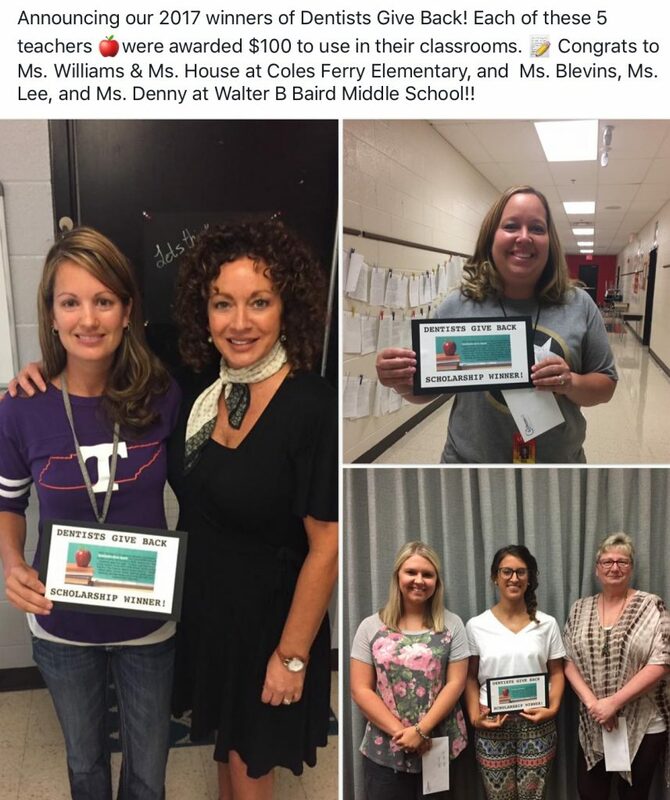 Scholarship applicants are active teachers in the Wilson County school system. They can either submit an application via email or by dropping off the form at a sponsoring dentist’s office. Each dentist in the program commits to five $100 scholarships for each winner chosen. These funds are then used to help teachers make students’ classroom experience even better. We’re truly thankful for the opportunity to join forces with other oral health care providers in the area to make a difference. We love having the chance to give back to the community that has meant so much to us. To learn more about our community involvement, give us a call at (615) 754-2027. Dr. Witherow has a long history of supporting many of our local schools, clubs, and non-profit groups. In 2017, Witherow Orthodontics has given over $25,000 in donations and charitable gifts. Giving back to the community is very important to the Witherow Team!